We've developed a tradition here in Detroit with respect to the annual purchase of an evergreen tree to place in our living room for our annual celebration of yule, etc. 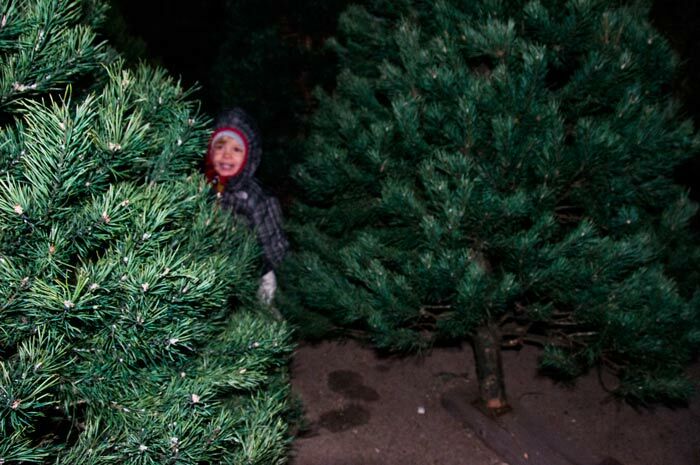 It's not quite as cool as the tradition my family had when I was a kid and we lived in the country (before the country stopped being the country and the Wal-Marts and Arbys moved in), but it's still fun. 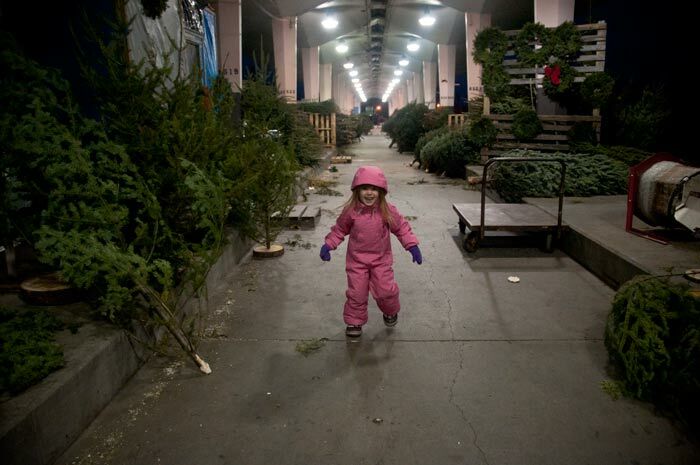 Every year a bunch of tree farmers from the Upper Peninsula of Michigan come live in trailers at the market in downtown Detroit for a few weeks until their stock is gone. On a cold night after Thanksgiving we bundle the kids up and let them run around all the trees until some Yooper has thoroughly fleeced my wallet. 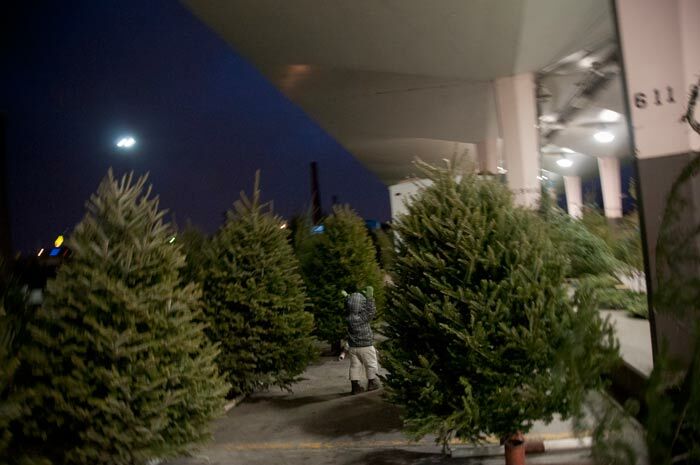 This year my wife heard from one fellow who said he was just trying to sell up all his trees so he could get back upstate to his newborn baby, and that fellow may have ended up with $10 more than we agreed. 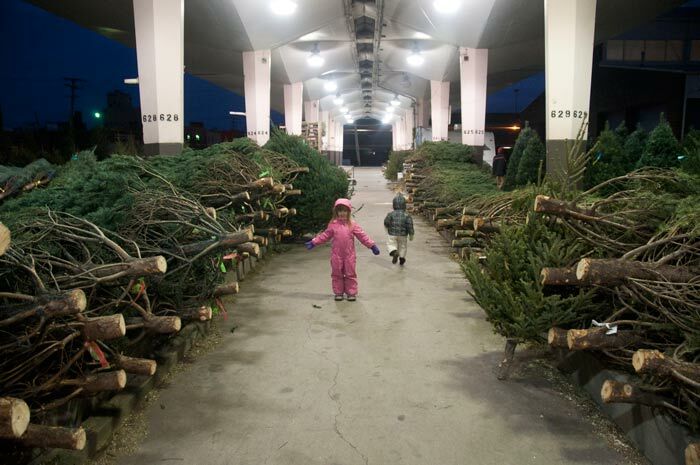 My dad will inevitably show me the tree he bought in the parking lot of the Menard's that used to be a field not far from where he'd cut down trees for us, and insinuate I'm a fool for paying a yooper more than $10 for a tree. But all this is worth every cent to me.